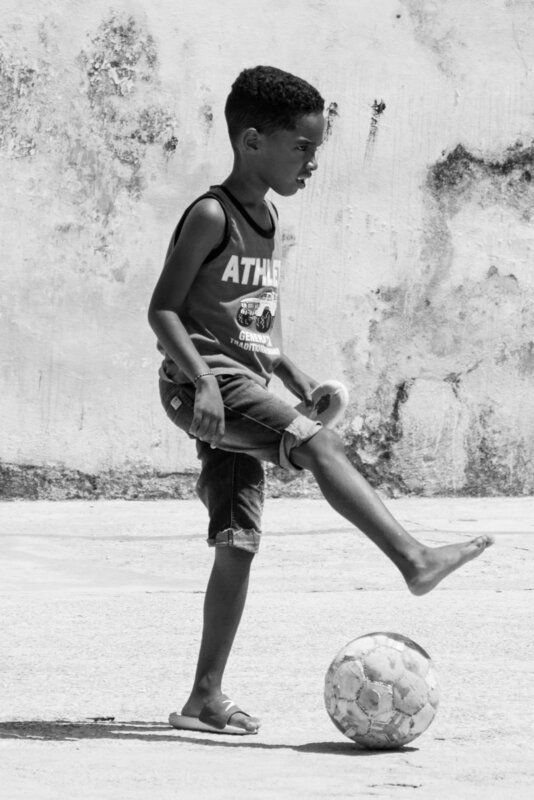 The work La Liga en Cuba does to support Cuba's soccer community is made possible by generous donations from individuals, organizations and businesses. All funding goes towards the equipment we donate to local teams and coaches and the equipment we use to hold our events. At this moment, we are only able to accept donations via PayPal or by mailed checks. If interested in donating, please use the button below to proceed to PayPal's secure donation form, or make checks payable to ‘La Liga en Cuba’ and mail to the address below. We will provide receipts for all forms of donations, so that they are eligible for tax deductions. We also happily accept equipment donations. Jerseys, balls, or shoes (both new and used!) will be donated to local teams, and make a big difference to these individuals. If you are interested in making an equipment donation, please get in touch with us on our Contact page. We're happy to cover shipping costs!